Krishna Pushkaram,krishna pushkaram 2016 dates,Vijayawada pushkaram Info,Latest News,Videos,Photos,Live Cam,Krishna Pushkaralu 2015 News,Krishna Pushkaram Festival Places,krishna river pushkaralu News,krishna pushkaram trains,krishna nadi pushkaralu Info. Krishna Pushkaram, celebrated once in 12 years, is a major festival in Andhra Pradesh. People of all walks of life, irrespective of caste, color, creed and religion participate in these functions which last for 12 days. Krishna Pushkaram takes place during the transit of Bruhaspati (Jupiter) into Kanya Rasi (Virgo Zodiac Sign). Vijayawada is the main center of the festival. A large number of devotees gather here to have a dip in the Krishna River which is considered sacred by the Hindus. Various pujas and rituals are performed. The festival was held in August 2004 and drew over 30 million pilgrims and tourists during the 12-day festival in 2004. 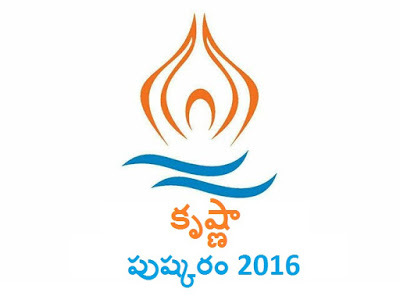 The next Krishna Pushkaram will be held in 2016 on August 12th to 23rd in Vijayawada. Thanks for the useful info. Devotees can also find more info below.